An atomic watch has a very small radio receiver in it that receives a signal from a real atomic clock in your country. This keeps it properly calibrated, and you never have to adjust your watch. It will always tell the correct time. If you are interested in how atomic clocks work, Feel free to check out the WIkipedia Article here. There are a number a reasons why you would want an Atomic Watch. If you are like me you strongly dislike having to set the correct time on your watch. I always want to know that it is correct. You can’t get more accurate than having a watch that gets adjusted every evening. Usually known for their workhorse mechanical movements available at affordable prices, Seiko also has been making Atomic watches for a long time. 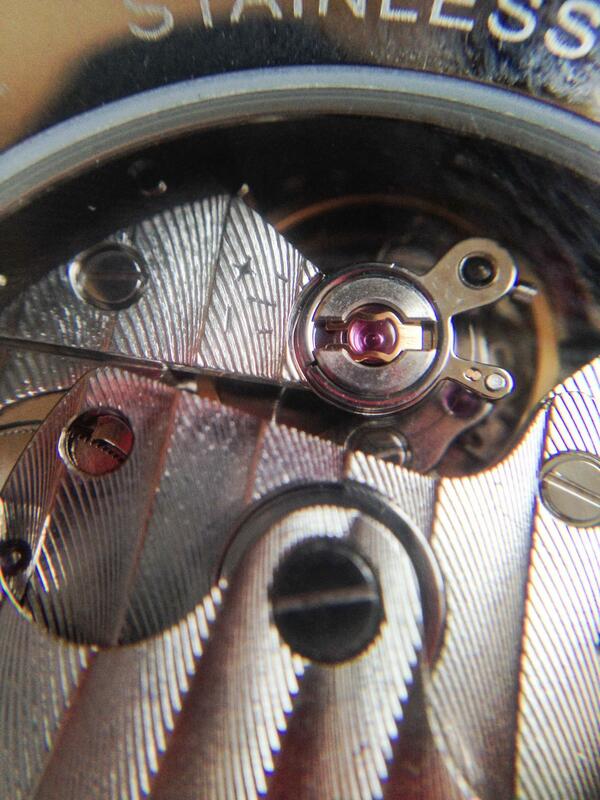 They initially changed the watch game when in 1969 they released the first quartz movement. I don’t think you can get a more accurate watch than Seiko quartz movement watches. Citizen is a well known manufacture of Solar and Atomic Watches. They have been in the game for quite sometime and have really perfected what users are looking for in an Atomic Watch. They also have a less tough look and aren’t quite as bulky as an everyday G Shock Atomic Watch. Im going to start the list off with the most expensive Atomic Watch so that you dont fall off your chair. This Seiko Astron is anything but cheap. In fact it comes in over a thousand bucks, which is outside the realm of possibility for many people. This is a truly awe inspiring watch. 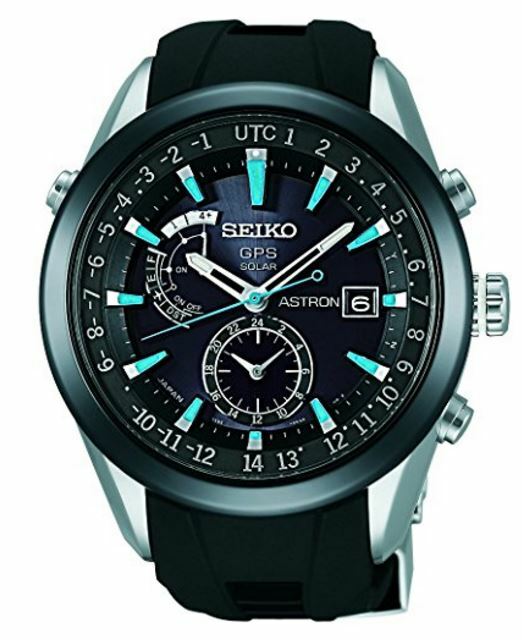 The Seiko Astron isn’t even technically Atomic. It gets its time from GPS, which is ever better. 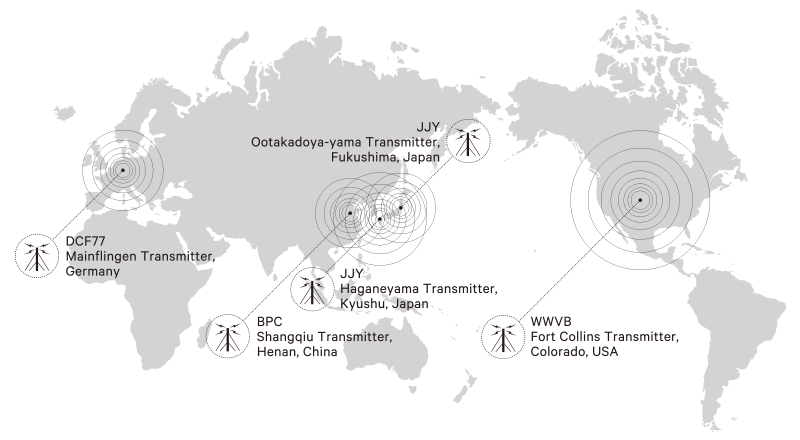 Atomic Clock signals are sent out from Colorado in the USA. If you are in Hawaii, you will not be getting any atomic signals unless you have a GPS enabled watch. Since we started with the most expensive lets hit the other end of the spectrum. Most affordable Atomic watch. 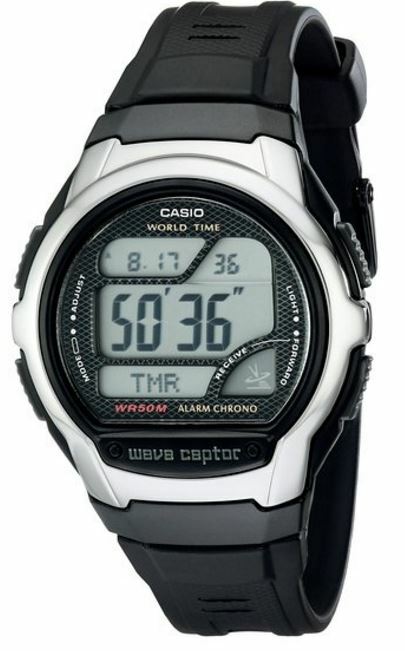 That would be the Casio Men’s WV58A-1AV. Don’t be fooled by its low price tag. This watch is every bit as capable and will suit most people fine. Sure, it is going to look out of place if you plan on wearing it in the boardroom. This watch should be what you take your Rolex off for when you swim those laps after work. the WV58A-1AV has all the shock resistance and water resistance you are looking for. 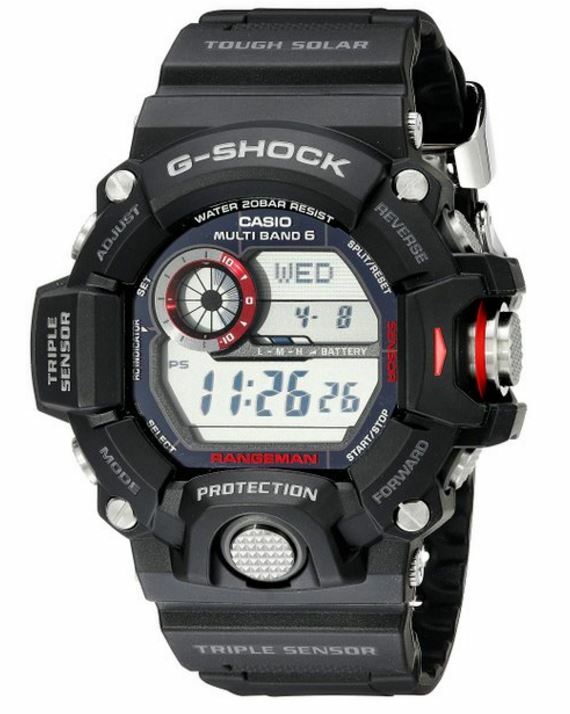 The GW-9400 Rangeman is the cream of the crop G Shock. I did an indepth review on the Gw-9400, check it out if you want to see the finer details of it. Many G Shocks have atomic radio features, But the GW-9400 has solar charging, 6 band atomic radio, and multiple sensors. It features an Altimeter so you can know your altitude. It also has a barometer so you can get an idea of which way the weather is trending. It has a thermometer so you know what the temperature is. Its tough and built to beyond the G Shock Standards. It is the toughest G Shock you can get! 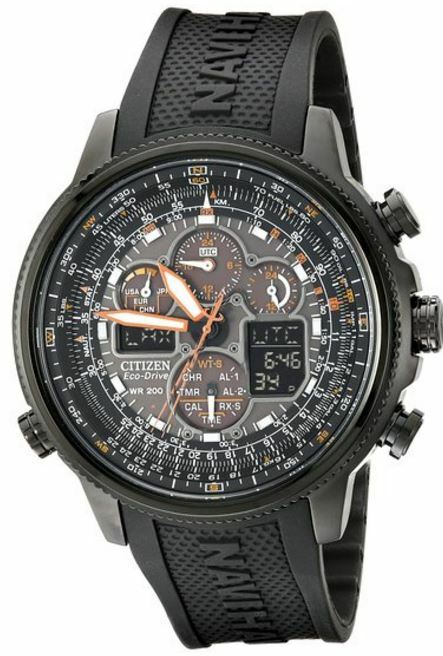 This is a mid tier price range Citizen Navihawk. It features the renowned Solarwave technology from Citizen. You put this on your wrist and forget about it. It wont need any more setting and like Seiko this will be accurate to the second in 100,000 years. You can also tell time with it in two time zones. This is a perfect watch for someone that already has everything. 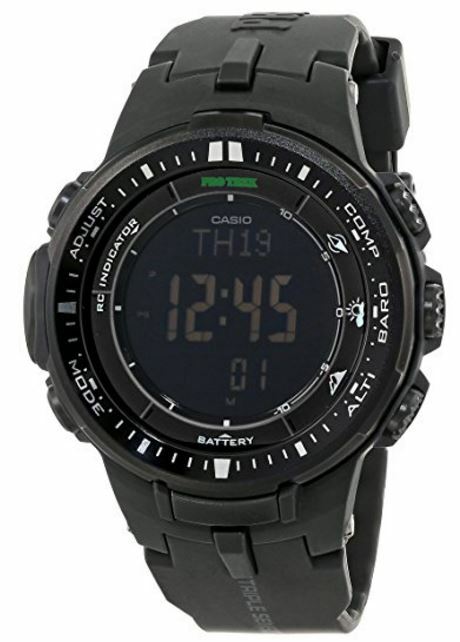 The ProTrek Line from Casio is great for avid Hikers and those that love the outdoors. It has many great features that outdoor enthusiasts will find incredibly useful such as great temperature resistance, sunrise and sunset alarms, and of course Atomic Timekeeping. As a result of this watch is also solar and will maintain a battery charge in complete darkness for 7 Months. 100m of water resistance makes this great for someone looking to kayak or fish with and not have to worry about damaging it. I hope you enjoyed my review of the Best Atomic Watch for 2017. If have any questions please feel free to send me a message. I love to chat about all the key differences of atomic watches. I am very passionate when it comes to atomic watches. If you have an idea for an Atomic watch that should have been included please let me know!